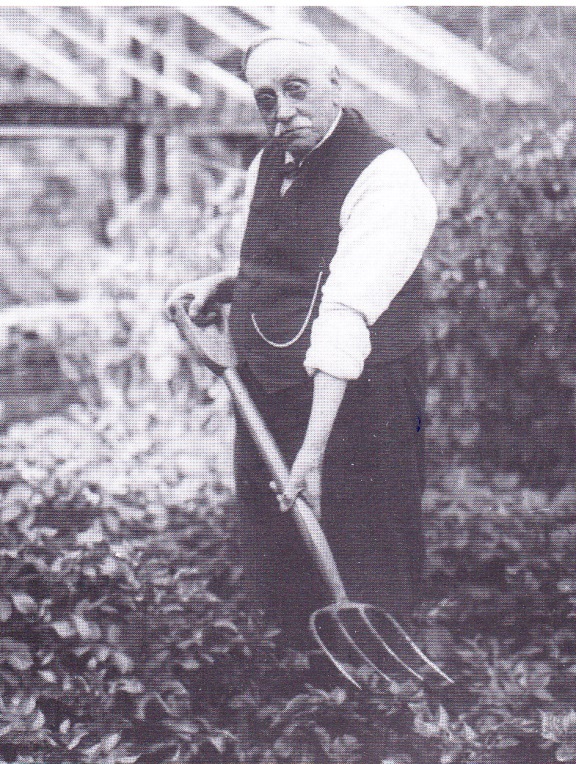 George Edwards was born on 5 October 1850 at Marsham, East Norfolk, the seventh and youngest child of Thomas, a former soldier and farm worker, and Mary Edwards. With the outbreak of the Crimean War in 1854 food prices rose to unaffordable levels for farm workers and so Thomas stole a few turnips from a field. Convicted of theft he was sentenced to fourteen days hard labour. 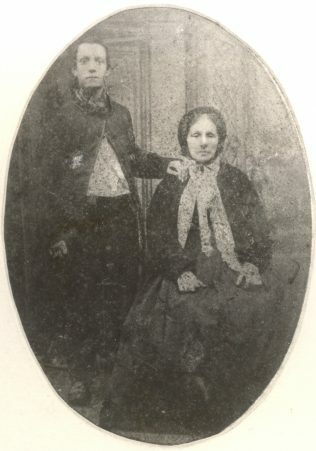 With no income, Mary and the children were forced to go to Aylsham workhouse where George was separated from his mother. This heartless treatment was never forgotten by George and he felt that it helped to forge his lifetime concern for the poor. Aged five, George became crow scarer, frightening birds from the fields and his work only finished at sunset. Subsequently he worked as a labourer on various farms. Passing a Primitive Methodist chapel whilst a service was in progress, he went in. Conversion soon followed. In 1872 he married Charlotte Corke and soon after he was recognised as a Local Preacher. For his first service, he learned the Bible passages by heart as he was unable to read. George learned to read under Charlotte’s instruction. His Christian faith led him to devote himself to improve the social and economic conditions which people were forced to endure. When meetings of Joseph Arch’s agricultural union were held in Norfolk, George saw this as the way ahead and joined the union. He campaigned to extend the franchise to agricultural workers. In 1889 he helped to reform the failed union and he became its organiser. His political activity made it hard for him to find work as employers were reluctant to employ a man who was active in union extension and influence and so he found it extremely difficult to secure somewhere for his family to live. In 1892 he stood for Norfolk County Council elections as a Liberal and his campaign was helped by several Local Preachers. His opponents made this a class struggle and hired bands of hooligans to disrupt George’s meetings. Although he was defeated, it was only by a very small margin. In 1893 George was invited to give evidence at the House of Lords for a Royal Commission enquiring into the administration of the Poor Law. Both George and his wife were elected to Aylmerton and Felbrigg Parish Council and the Erpingham District Council. George also became a Poor Law Guardian. 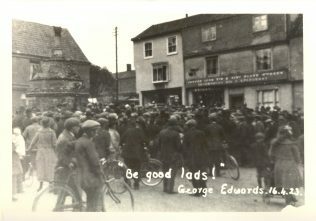 In 1906 George Edwards formed the Eastern Counties Agricultural labourers’ Union and became its paid official. He cycled to meetings over a huge area and through his work managed to raise the wages of agricultural workers to fourteen shillings a week. The name of the union was changed to the National Agricultural labourers’ and Workers’ Union and its activities spread to other parts of the country. Following the end of the First World War the Union’s name was changed again to the National Union of Agricultural Workers. 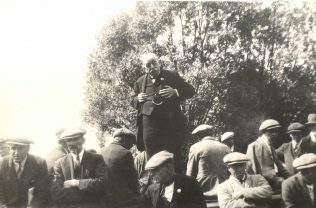 The high regard with which George was regarded led him to stand for Parliament in 1918 as a Labour candidate for South Norfolk. Although unsuccessful, he was elected in 1920 at a by-election. The 1920s was a time of agricultural depression and in March 1923 workers on the land went on strike as a protest against wage cuts. When strikers were convicted of causing a disturbance at Walsingham, it seemed that a riot would break out, but George calmed the situation and subsequent negotiations held wages at 25 shillings a week and although this was a compromise, it was seen as a victory for the Union. George was appointed as a magistrate and continued his work on Norfolk County Council and on District and Parish Councils. He was awarded with an OBE for his work and in 1930 he was knighted. 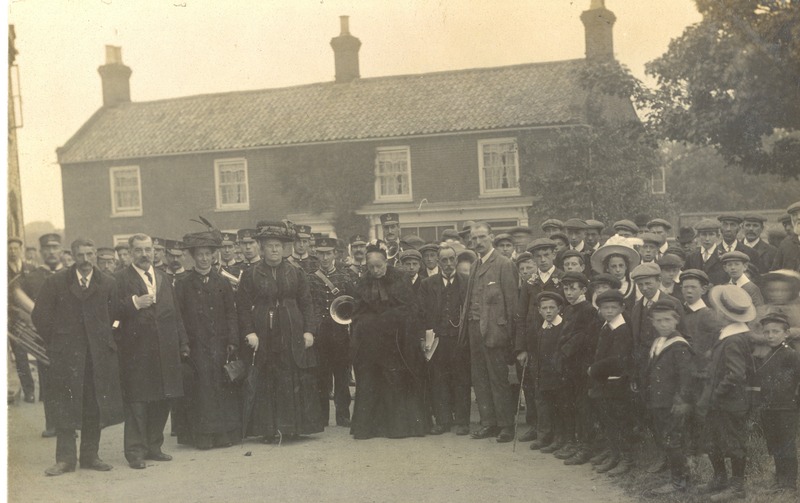 He moved into the town of Fakenham where he attended the Buckenham Memorial Methodist church. It was there that his funeral took place after his death on 6 December 1933. The service was taken by Rev. F.A. Ingham, Superintendent of the Fakenham and Wells Circuit. When the time came for the coffin to be carried to the cemetery, the streets were thickly lined with people, all shops were closed and children from the local school were lined up outside their school. By the grave were representatives of the National Union of Agricultural Workers and National Farmers’ Union, There were others from political parties and from various religious denominations as well as Fakenham Town Band which George had always supported and who played his favourite hymns. A memorial service was held the following week at Fakenham Methodist Church and another shortly afterwards was organised by the Trade Union and Labour movement. A service of remembrance was also held annually on May Day at his graveside. That in 1949 was attended by Clement Attlee. A biennial lecture inn memory of George Edwards is now held at Gressenhall Union and Workhouse Museum and is jointly sponsored by The Methodist Church and the Agricultural Section of the Transport and General Workers’ Union. He was buried at Queens Road Cemetery. 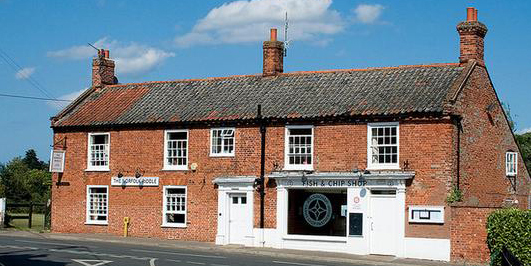 See Fakenham community archive.